Jet Airways spokesperson said this is not the first instance in corporate India of deferment of quarterly financial results by a company. A day after board of directors of Naresh Goyal-owned Jet Airways decided not to review the unaudited financial performance for the June quarter, the spokesperson of full service carrier defended the move saying it is not the first instance in corporate India of deferment of quarterly financial results by a company. The airline said the management and the auditors informed the audit committee that they needed more time to finalise the accounts. "The Audit committee on their request agreed to accord them further time to finalise the accounts," it said. This was readily agreed by the members of the board, the airline's spokesperson added. Jet Airways spokesperson further clarified that S Vishwanathan did not quit the Audit Committee, as 'incorrectly reported' in a section of the press. "His term of office came to an end at the AGM held on 9th August, which in fact he attended in person. He hence, retired as a Director and consequently as Chairman of the Audit Committee, after serving his full term of office. 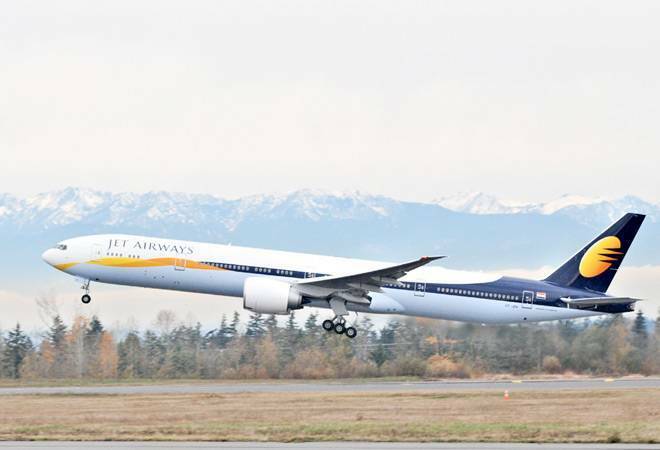 In fact the Chairman in his address at the AGM, thanked Vishvanathan for his contribution to the Company and placed on record his appreciation," Jet Airways said. On Thursday, Jet Airways Chairman Naresh Goyal had said that he felt 'guilty and embarrassed' as a lot of shareholders have lost their money due to plunge in airline's shares. Amid rising concerns over the airline's financial health and proposed salary reductions for employees, the Jet Airways Chairman said a new committee would be set up to improve public perception and negative publicity about it. All perceptions about the company will be corrected through a new executive committee. The airline's directors -- Naseem Zaidi and Ashok Chawla -- would be chairing the meetings of the new executive committee, Goyal said. While noting that the airline has a very strong code share network with partners globally, Goyal said it is also looking at cooperation with Air India in terms of engineering and flight operations. Several meetings have also been held with Air India Chairman and Managing Director Pradeep Singh Kharola, he added. The Jet Airways shares slumped over 13 percent in early trade after the airline deferred consideration of June-quarter results on Thursday. At 9:26 am, the stock fell 7.91% or 24 points to 277 level on the BSE. The stock fell 13.29% intra day to 261.60 compared to its previous close of 301.70. The market capitalisation of the stock fell to Rs 3164.82 crore on BSE. It fell to fresh 52-week low of 261.60 level. It closed 8.39% or 25 points lower at 276.40 on BSE.